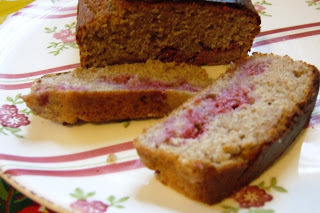 Raspberries are in season and I’ve been craving them in a cake for a few weeks. 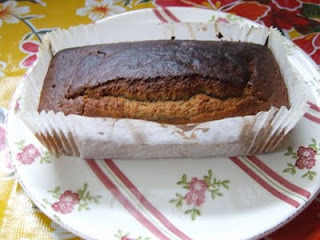 I wanted a simple recipe, so I’ve made one up based on several different fruity cake recipes. I’ve used one of my cool new paper loaf tin liners as I’m fed up greasing tins. As you can see, the fruit fell to the bottom. It's still very tasty but it means the mixture may have been too liquidy, too slack. Solution? I will have to be more rigorous measuring the soya milk next time - maybe use a bit less to make a thicker batter that will suspend the fruit properly. I could also dust the raspberries in flour to hold them in place. • Mix the flour, baking powder, sugar and salt in a large bowl. • Fold in the raspberries.